2 nights + :$83 per night. * Parents with bed-wetting children must bring waterproof bed-protector. Check-in is 2.00 pm and Check-out is 10.00 am when the cottage has bookings back to back. Otherwise check-in and check-out times are flexible. Just ask us. Less than a week before arrival - full payment in advance on credit card. More than a week before arrival - deposit of 50% in advance for bookings of 2 or more nights, with balance due upon arrival when you collect the key. Overnight bookings - full payment in advance by credit card only. - A minimum fixed price tariff may apply to these periods. Full payment in advance via credit card is required. - Less than 6 weeks, but more than 2 weeks = 50% refund of deposit, if we are unable to refill the vacancy. - Less than 2 weeks = no refund of deposit if we are unable to refill the vacancy. Download a location map in Adobe Reader pdf format. If you don't have Acrobat Reader you can download it from here. 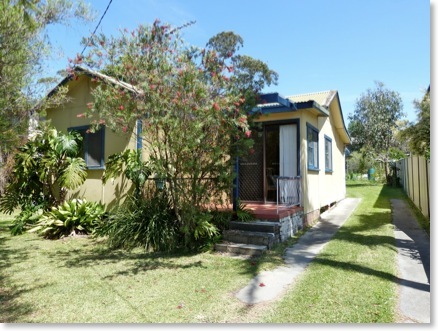 Yellow Cottage #87 Sanctuary Point Road, has a large open lounge with an easterly view overlooking well maintained native parkland and the waters of St Georges Basin. There is plenty of off-street parking and a back yard with room to hose down water sports equipment or car. 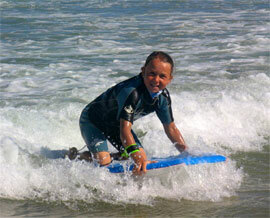 It's just a one minute drive from Palm Beach which is a great family swimming beach that is very safe for children. A boat ramp is located just 900m along Sanctuary Point Road adjoining a family friendly reserve which is very popular for windsurfing. You can also walk along the waterfront starting from the reserve across the road all the way to the boat ramp and join up with the walking track from Palm beach which continues around Sanctuary Point. This walk is a great way to see the Basin and when on the south facing part of the walk you can see Pigeon House mountain in the distance. Kitchen inclusions: Microwave, electric stove, all crockery, cutlery & cooking utensils provided. Smoking is not permitted inside our houses. Please note: All our cottages are renovated houses originally built by holiday makers (one is amongst the earliest homes in the area), and with the character of that house you may have stayed at on a south coast holiday when you were a child. 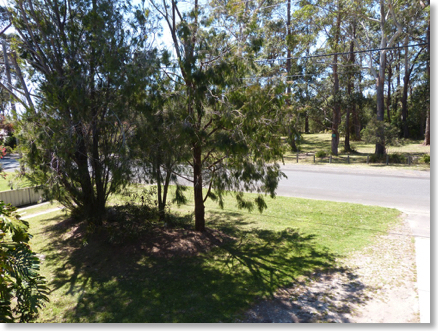 They are nestled in native gardens with local wildlife a feature. If you're looking for a new project home just like those in the majority of newer suburbs, that's not what we have. However we do have what you need for a great holiday!